Status: offline Share a creative photo of yourself with a Conceptis puzzle and have a chance to win 3,000 credits to play puzzles on conceptispuzzles.com! 2. 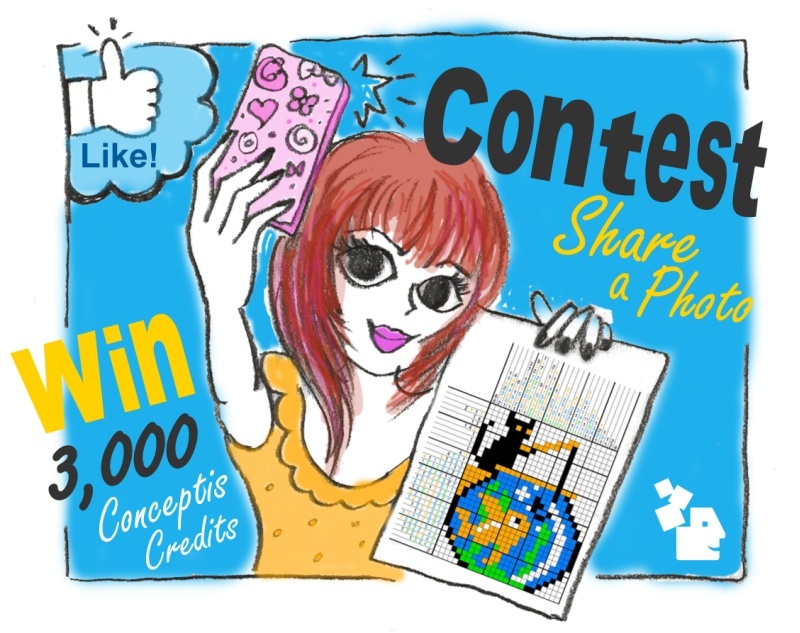 TAKE a creative photo of yourself with a Conceptis puzzle, or ask someone else to take it for you. The puzzle can be on conceptispuzzles.com, in one of our iPhone or iPad apps or even in your favorite magazine or book. 3. SHARE the photo by commenting on this Facebook post and adding your photo as an attachment, along with a short caption. You need to do the 3 steps above in order to be eligible. On Monday, January 6, 2014 all winning photos will be selected by our team and announced on our Facebook page. Winners will be asked to provide their account username on conceptispuzzles.com and awarded with a prize of 3,000 Conceptis Credits ($25 value) allowing purchasing hundreds of puzzles on our website. All wining photos will also be published on conceptispuzzles.com. Have any friends who might like solving our puzzles? Make sure to share this Facebook post with them!